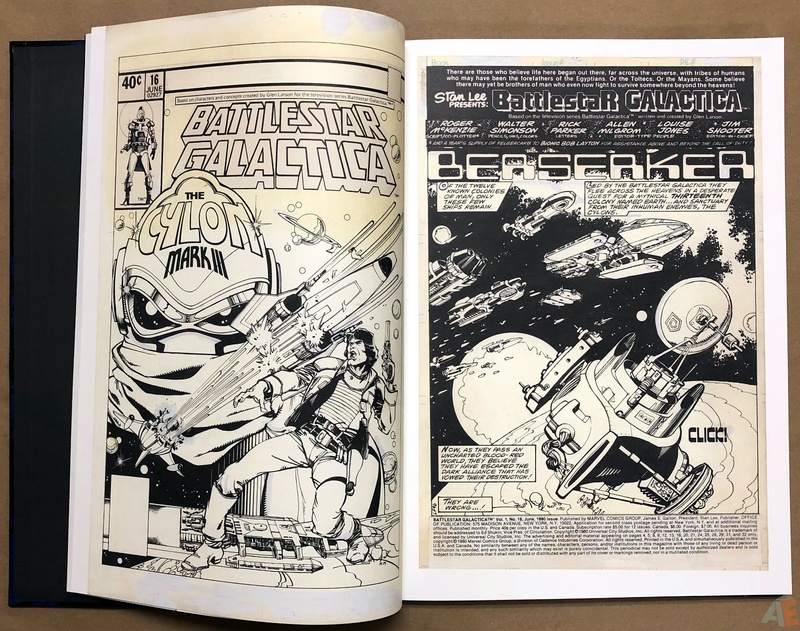 Walter Simonson’s Battlestar Galactica Art Edition commemorates the master draftsman’s senses-shattering work on the Battlestar Galactica comic book series published by Marvel Comics from 1979 to 1981. 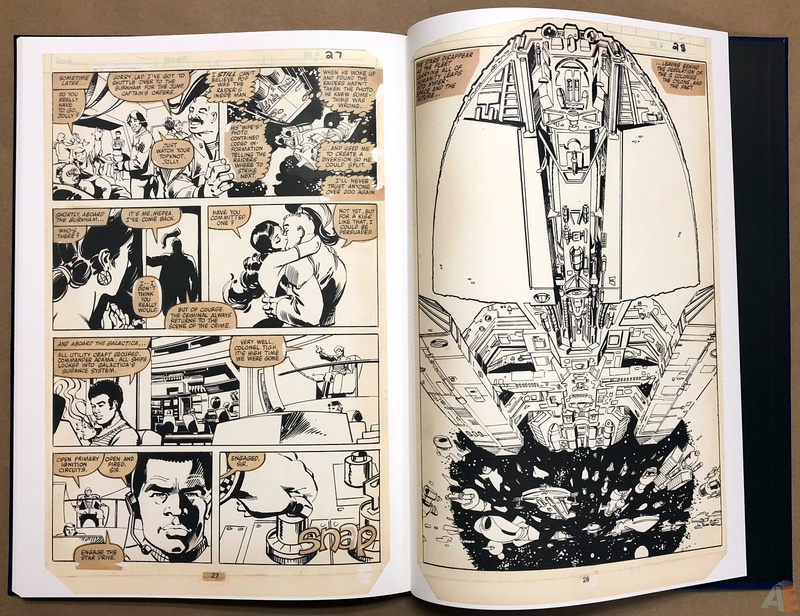 Truly, the adventures of brash pilots Apollo and Starbuck were never so epic as they were under Simonson’s skillful hand, as demonstrated in this gorgeous hardcover collection. 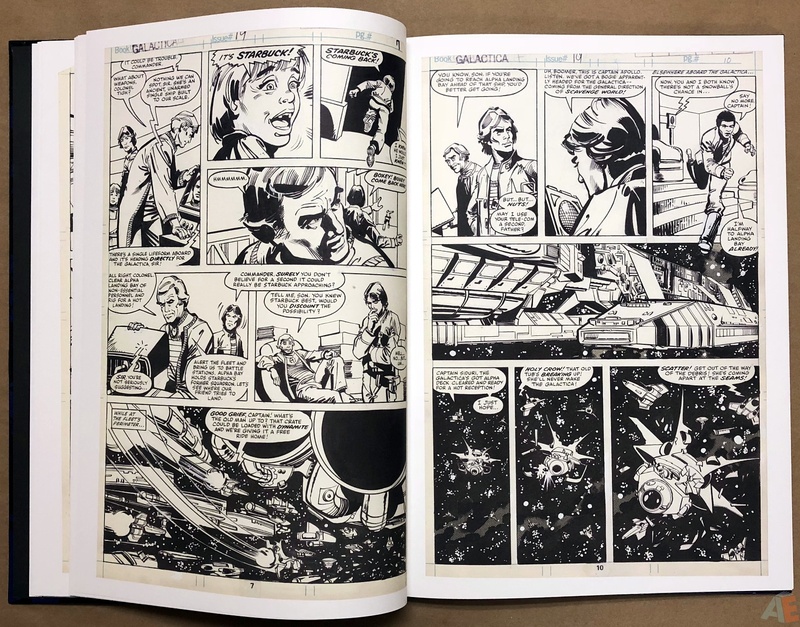 Scanned in high-resolution color and printed at original size, the Battlestar Galactica Art Edition preserves every detail of the artist’s meticulous skill and hard work, interpreted from scripts by contributing writers Roger McKenzie, Steven Grant, Bill Mantlo, Bob Layton, and Simonson himself! 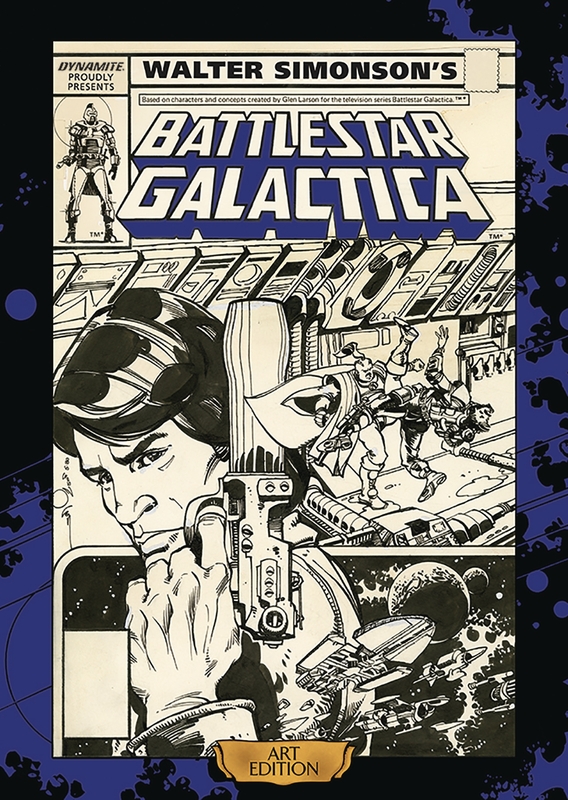 Five complete issues of Marvel’s Battlestar Galactica, including covers, with four written and penciled by Simonson. McKenzie wrote the first issue, which Simonson penciled and inked. 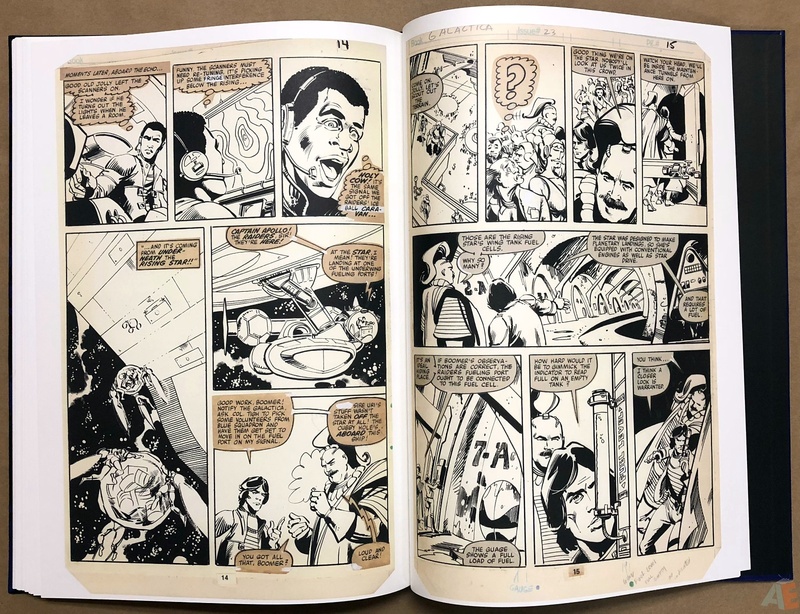 The remaining issues were inked by Janson. Based on the publisher’s blurb, listing writers that don’t appear here, they were looking to add more issues. 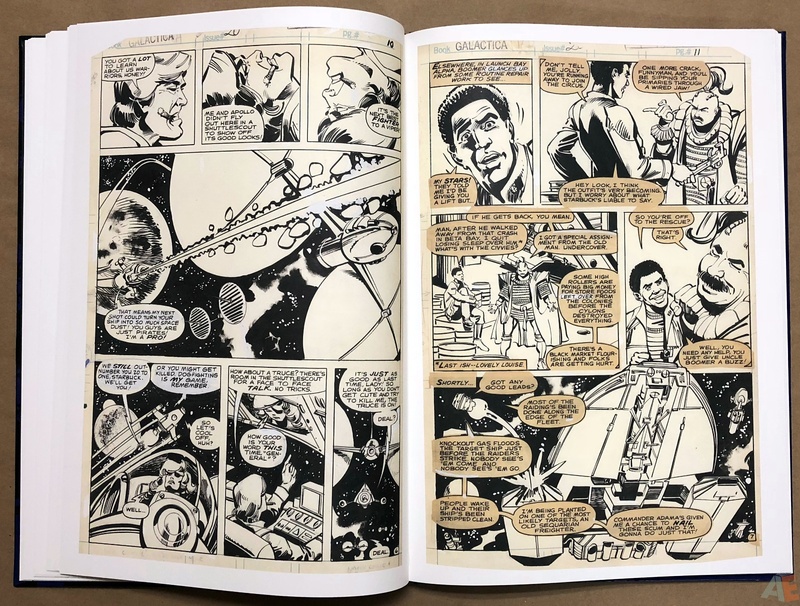 At 104 pages and $150 the book feels a bit light and could have used another issue or two. 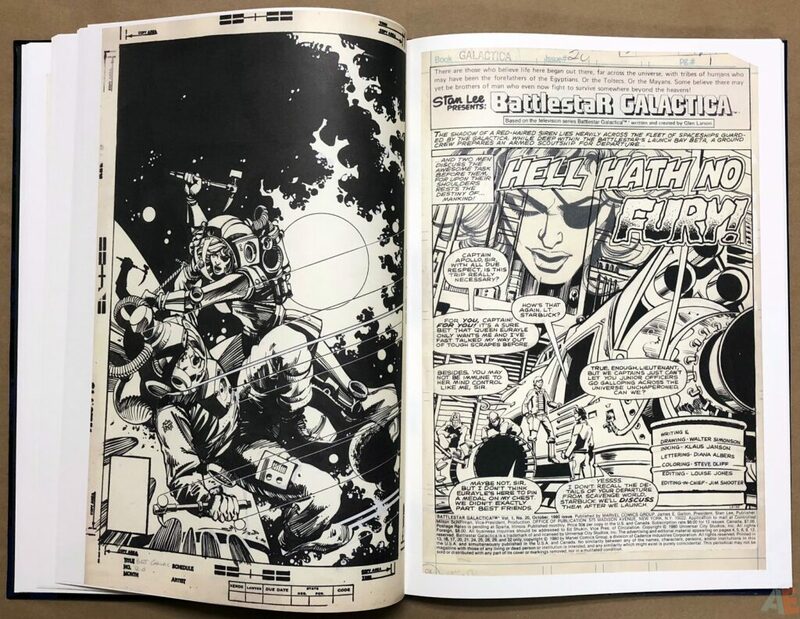 The pages are clear; all scans without issue. 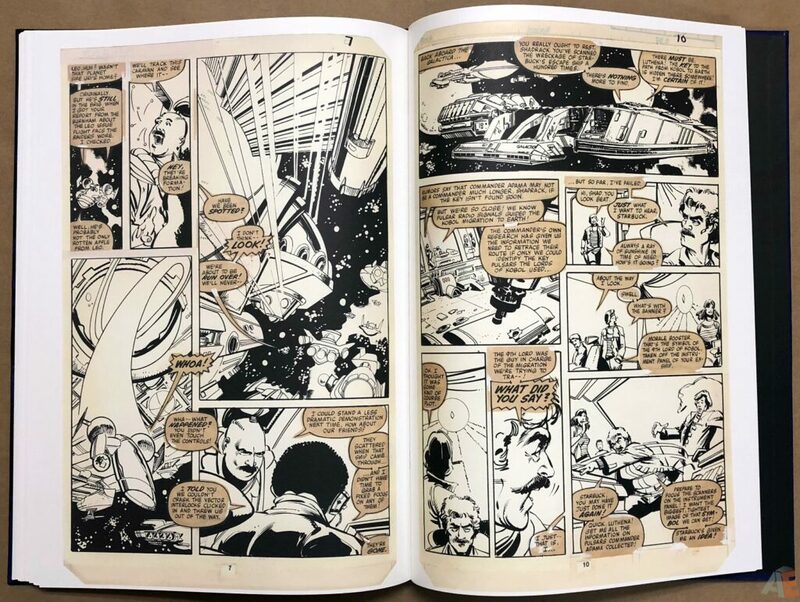 Pages have aged well, all off white to ivory. Most of the word balloons have darkened quite a bit. Issue 22 page 6 is missing a few balloons from the top. Correction fluid used throughout, on art and word balloons. A few editorial margin notes. Space gets some excellent use of Zip-A-Tone. 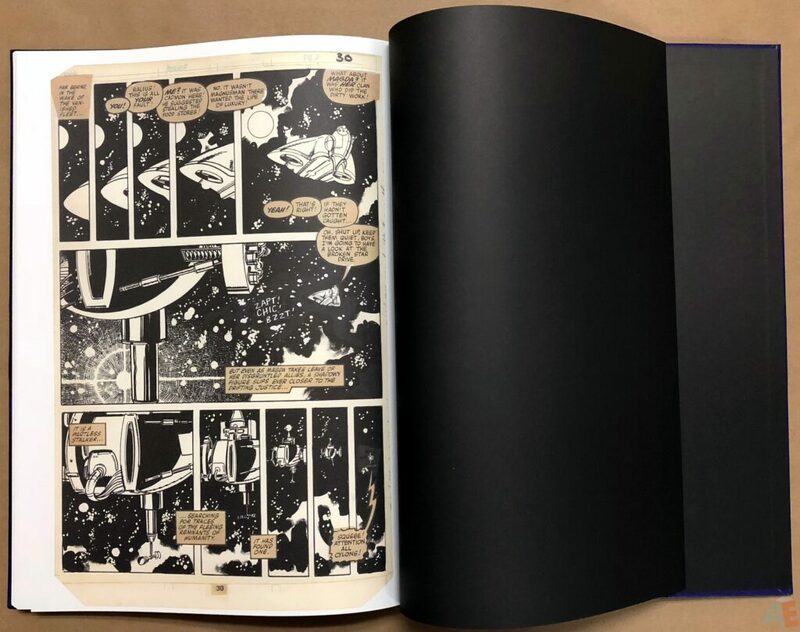 Blacks show considerable gradients except for the last issue. 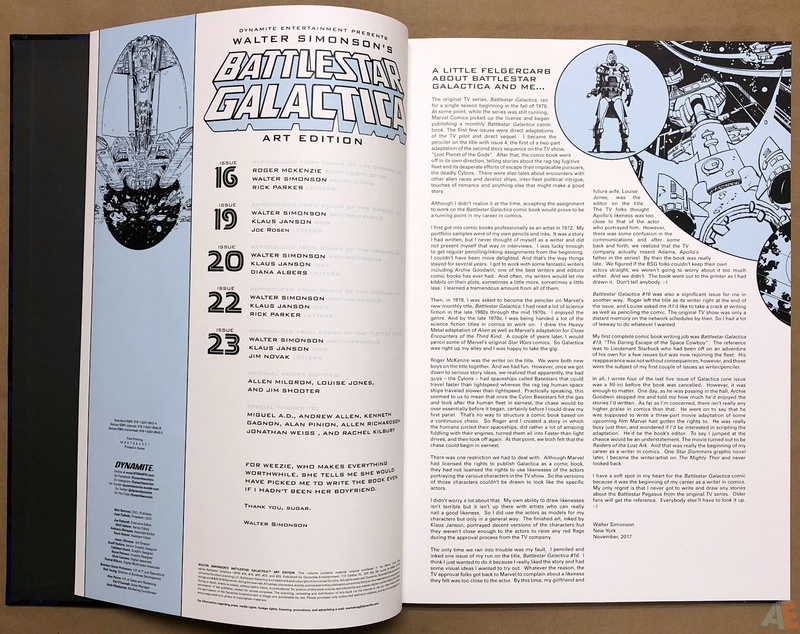 The table of contents lists the first four issues as “reproduced from scans of the original art” and the fifth issue as “reproduced from scans of the letter stats”. Other than uniform blacks I couldn’t spot much difference. The design is clean and effective, with a light blue accenting text and images used on the title page, table of contents and introduction. 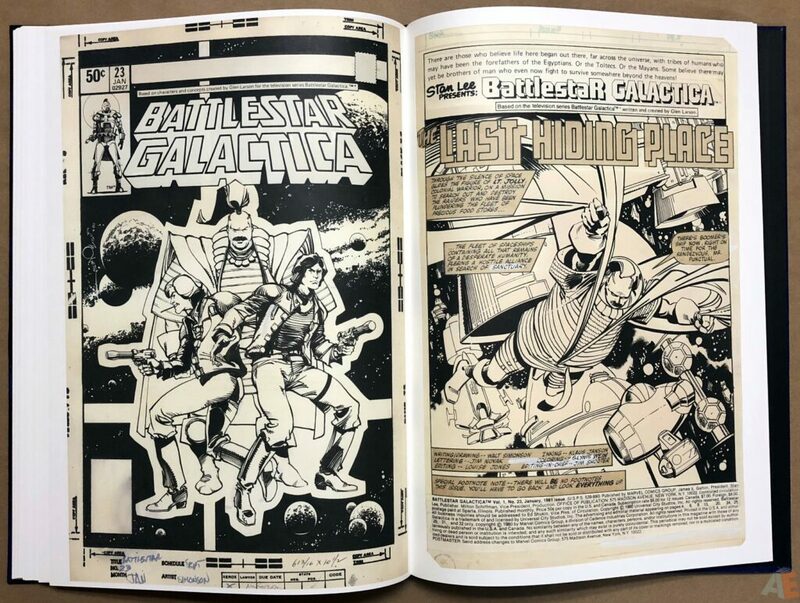 Working the entire book’s text into the original art on the cover is a gamble but it pays off. That’s it for the book, with no chapter dividers and black end papers. Production is quite good. Thick matte paper stock in a sewn binding. The binding is too tight, with very few pages lying flat after smoothing the center. Thankfully there’s enough margin around the art so we don’t lose anything. The book is not shrink wrapped. 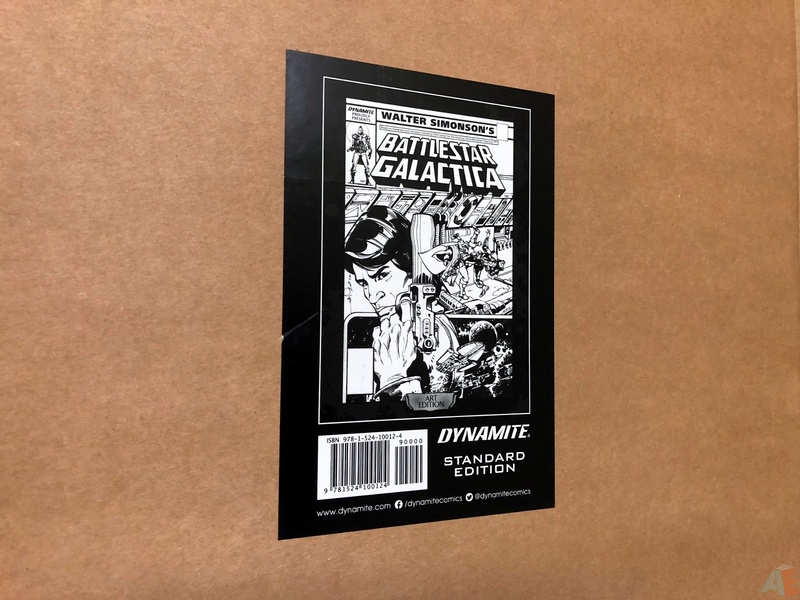 It comes in a cardboard case with a black and white sticker showing cover and UPC. 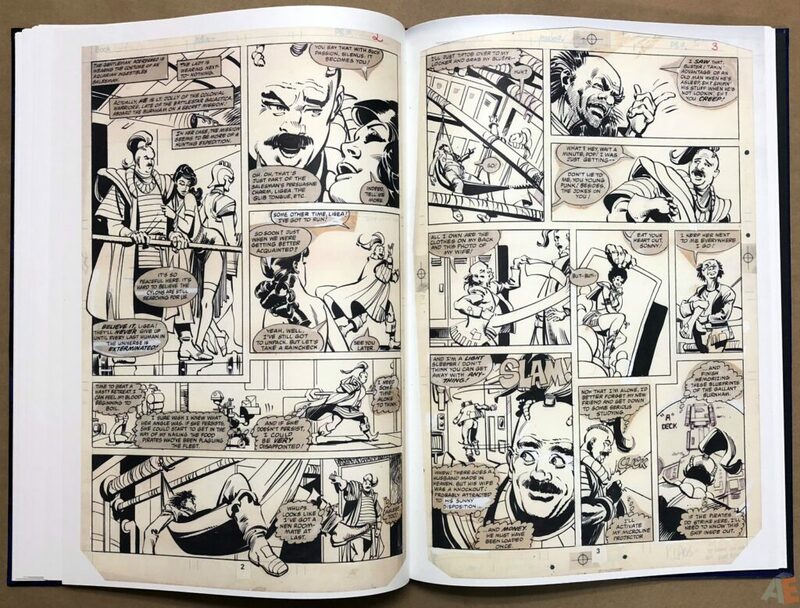 The box doesn’t stay together after the book is removed and appears identical to the box from Joe Kubert’s Tarzan and the Lion Man Artist’s Edition. There is a duplicate page in issue 22: page 21 appears where it should and then again a few pages later. Thanks to discussion on the forum it was established this is a duplicate and no page is missing from the issue. There are 104 pages in the book and that’s what was solicited, so since initial production it appears this duplicate page has been included. 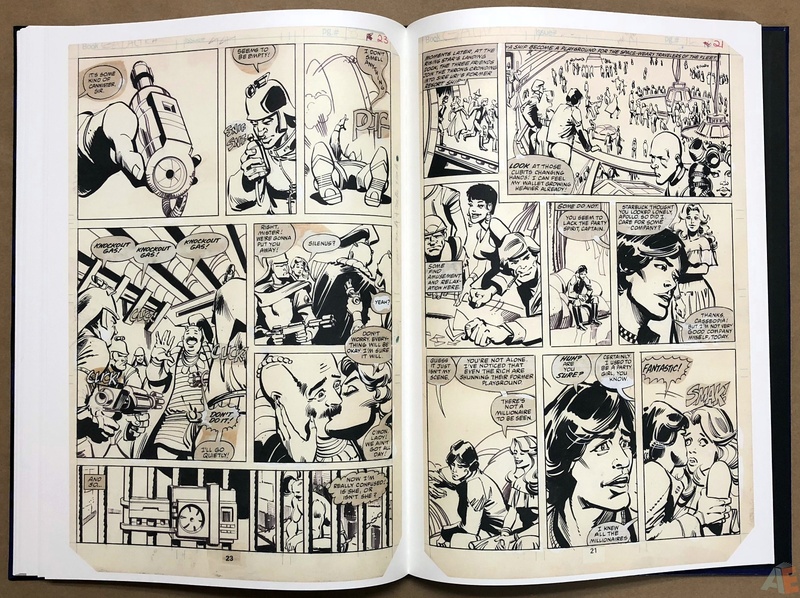 There’s so much to be seen in this volume regarding Simonson’s early work. At this point his lines were softer and more round versus the hard angles of his Thor run. All the detail and dynamic poses are there, but it’s not quite what we’re used to. 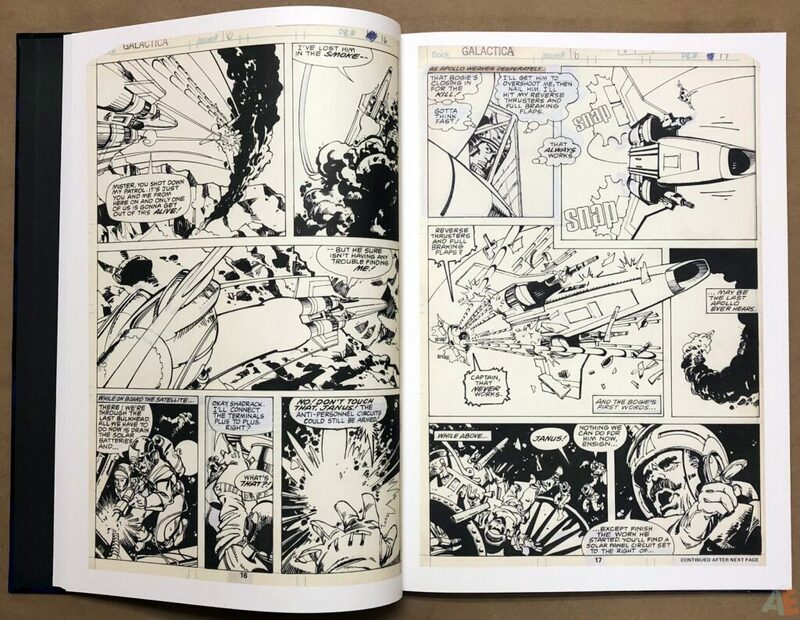 There are more AE format books of Simonson’s art than anyone else, and that’s for two reasons. One, he keeps all his art so it’s available for this format. 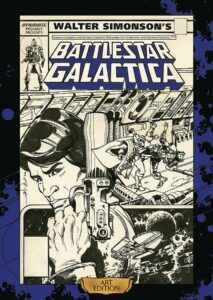 Two, he’s a prolific and accomplished artist with a unique style and firm grasp of what it takes to consistently produce exceptional comic art. 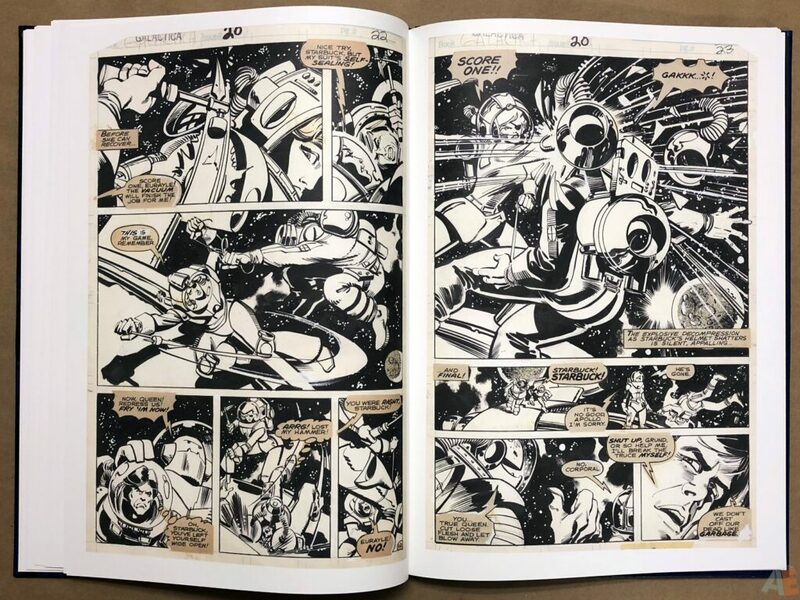 Let’s not overlook a major selling feature of this volume: Janson’s inks. 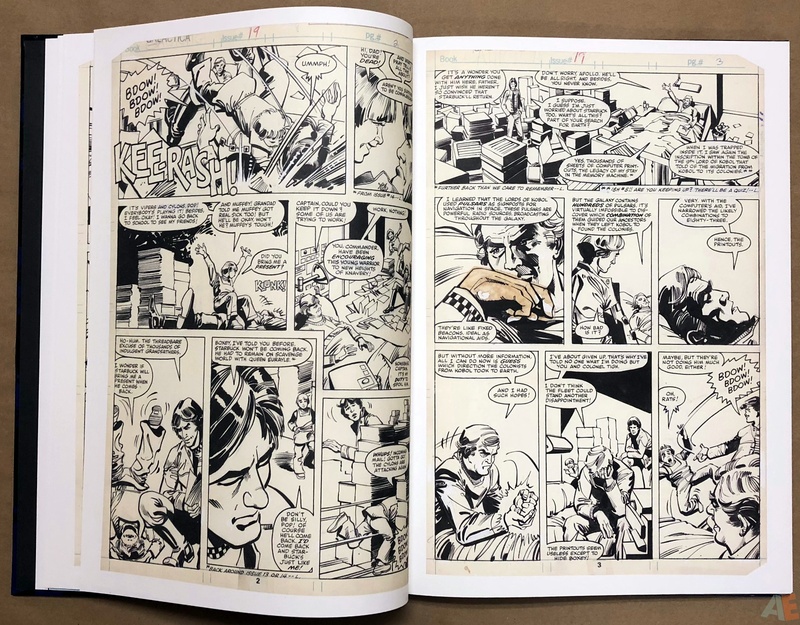 It’s a stark contrast of Simonson inking himself compared to Janson’s inks on Simonson’s pencils. 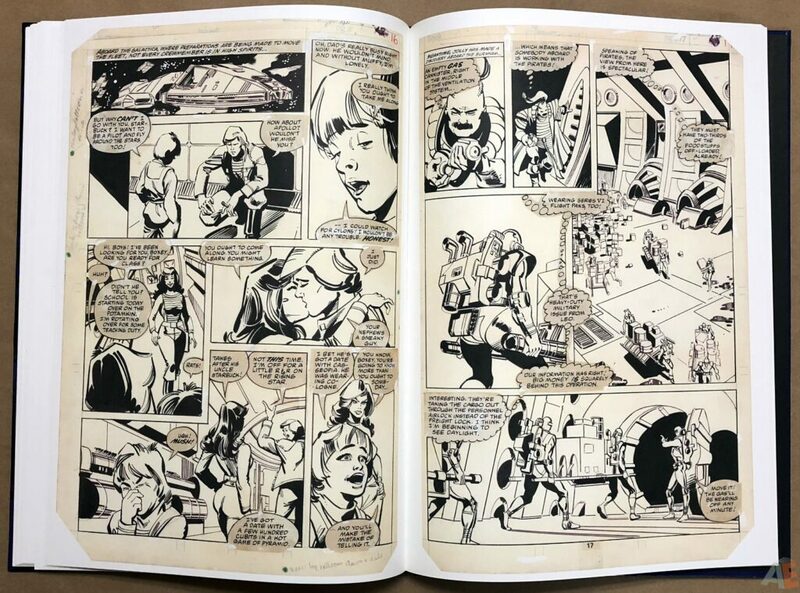 There’s a lot of Janson, and it looks fantastic. Comparing and contrasting shows how much he adds to the pencils, giving them his own unique look.